IPL franchise Rising Pune Supergiants has removed Mahendra Singh Dhoni from the team’s captaincy .Its bad news for MS Dhoni Fans. 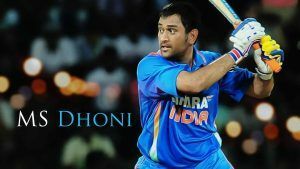 All Dhoni lovers want him to play as a capatin in the team. But today’s news shocked each one of us. According to Rising Pune Supergiants owner Sanjiv Goenka said: “We wanted a younger captain. Dhoni continues to be a player in the squad. Steve Smith will be the new captain.”steve smith is a younger player on Australian team. He is a best player in Australian team. Rising Pune Supergiants side played their maiden IPL last year under the tutelage of MS Dhoni but unfortunately finished seventh in the eight teams points table. The Pune-based side had made unforgettable outing in the debut season last year as they won only 5 matches out of 14, losing 9. They gathered only 10 points and somehow finished above last placed Kings XI Punjab. 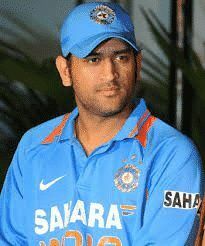 MS Dhoni most recently resigned from the post of Indian ODI team captain handing over the charges to Virat Kohli. The 35-eyar-old former Chennai Super Kings captain is one of the most successful captain in the history of IPL. As a skipper, Dhoni has won the IPL trophy twice and finished runner-up on four occasions as CSK captain. 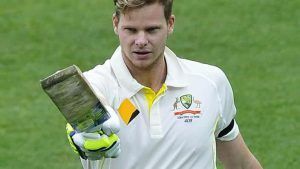 Steve Smith, who is a highly experienced International captain, will take the mantle from the wicket-keeper in the upcoming season. With a passage to time, Cricket has come up with a lot of changes, some bad or some good. The hardwork, Zeal continuous practices for hours and hours proves the passion, the Crickets have for the country. But this time Caption cools era ends as IPL Pune team replaces Dhoni. Journey’s are never to easy to walk.